The folks in charge of Miles Davis’ estate, along with Columbia/Legacy, are becoming masters of finding new ways to repackage and re-release the Prince of Darkness’ catalog. Or, in the case of the live bootleg series, releasing material for the first time in high quality packaging (Vol. 3 comes out later this month). 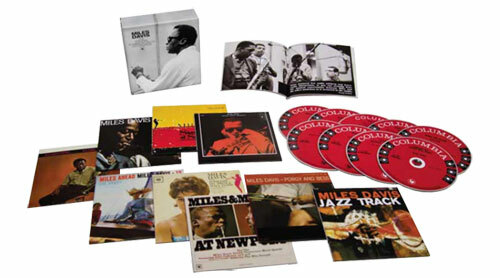 This fall Columbia/Legacy released a large box of all of Miles’ studio albums he made for Columbia between 1956 and 1961. The catch here, is that these albums have been all remastered in mono, as opposed to stereo. Before stereo sound really caught on in the early and mid-60s, mono was how just about everything was heard. In the liner notes to the box set George Avakian, who signed Davis to Columbia, says that “Mono has always been truer to the studio sound and the original intent.” So the pitch Columbia is making to potential buyers is that the music in this set is closer to what Miles et al wanted it to sound like. Or put differently: these new versions are more authentic, closer to the source, truer to the artists’ original intent. At least that’s what we are meant to believe. But hell, who am I to question people who were there? Since this music is so well known (and really what more can be said about Kind of Blue? ), what follows is not so much a review of the music (although there is some), but rather, a buyer’s guide. In the neighborhood of $100, this is not a cheap set. So if you’re not sure if you want to pony up the bread, if you’re not sure what you’re getting, or if you question whether hearing these albums in mono is anything more than just a marketing ploy, hopefully this will help guide your decision. -A forty page booklet containing a brief essay from Marc Myers, all track, personnel and recording date info, plenty of session photographs, and notes from engineer Mark Wilder on what was changed in the remastering process. Each album comes in a cardboard slip case, looking like a small version of the LP. They each have the original artwork and liner notes on the back. One thing I noticed was that the liner notes are hard to read – not impossible, but that the print is just very small. But then I thought about it, I never read liner notes more than once anyway – and if you are really into liner notes and have a hard time reading them, I’m sure you can find them online. If you buy this set with the intention of trading in the albums on it you already own, here’s what you’ll be giving up: any of the new liner notes, new photographs, or alternate takes which had been included on subsequent reissues. At first I thought that was a lot. Then I realized that I really never listen to alt takes, false starts and the like. Extra photographs are cool, as are new liner notes, but I only ever look at those maybe once, and then forget about them. What you have here is basically a replica in CD format of the original album – no frills, no extras. Ok, the main selling point, the sound. I played them on three different systems: my somewhat slightly-better-than-generic Altec Lansing computer speakers, my approaching 20 year old Sony boombox, and my pretty decent home stereo system (Denon CD player, Polk bookshelf speakers, 60s vintage Harmon Kardon preamp). The sound on all three was warm and clear, and as good as any other really great sounding recordings I have. I also compared them to some of the remastered stereo versions of the same albums. In each case I felt that the mono versions sounded warmer, more alive, less sterile, and there was more separation among the instruments. In short, the mono versions sound about as close to analog as a digital recording can; in fact, they sound almost as good as a high quality vinyl pressing in pristine condition. While the “mono” aspect may be a marketing ploy, these mono versions sound damn good. Of course a major difference is stereo vs. mono. I suppose that is a personal preference. Considering that just about everything we hear recorded or remastered within the last 50 years is in stereo, it is a little jarring to hear these in mono (although I do have a couple of these albums on 6 eye Colombia mono pressings). I’m not particularly swayed by the “mono is the way it was meant to be heard” argument. Even if that is the truth, that doesn’t really resonate for me – perhaps because of my skepticism of views that romanticize the artist and the purity of artistic expression. What resonates with me is the sound, and for me, the exceptional sound quality of the mono versions is what does it for me. There are some pretty clear examples of why the mono versions are often superior. In general, the levels of the bass have been increased. Paul Chambers, for example, is much higher in the mix, his bass sound is clearer, and overall he is more balanced with the rest of the ensemble. The horns in particular have a more compact and focused sound, giving them more immediacy. This is especially the case with Miles’ trumpet on Jazz Track (more on that album to come). Whereas it was a little bit spread on the Verve reissue of the album’s first side, it is much tighter. For nerds like me who are perhaps way too much into engineering, mastering and the process of recording, Mark Wilder’s brief descriptions of some of the changes he made in the remastering process are really fascinating. Regarding Miles Ahead, Wilder notes that “Surprisingly, the original master was in very good shape. But when we listened to the master on the playback machine, it sounded a little thin and hard compared to the original album pressing. So we used a softer-sounding tube equalizer to standardize the bass and reduce the mid-range throughout.” Or about Kind of Blue, “This was the only album in the set that we had to mix from the original three-track master tapes. That’s because the album’s mono master had been used repeatedly for multiple pressings over the years. We worked bar-to-bar to figure out all the volume and equalization changes and we corrected the speed of the album’s A-side, which had been slightly fast.” Wilder gives a statement of these sorts for each album. I’m not sure how many people are really into this kind of thing, but I find them to be interesting, not the least of which because it shows how much work is done after the music is recorded. What you hear on any recording is not just the work of the musicians – the engineers have a lot to do with the final product, and Wilder’s short descriptions really speak to that. 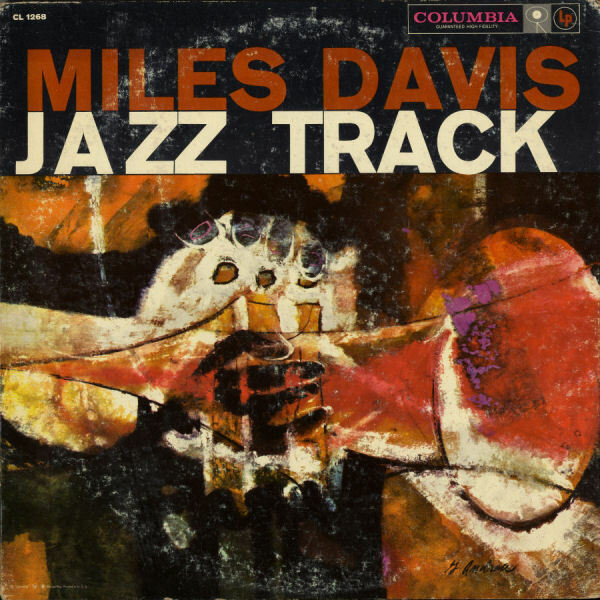 The music you are least likely to be familiar with is on the album Jazz Tracks, which has never been included in any multi-CD collection of Miles’ work. It’s probably the least well known, least heard album of the 50s and 60s. 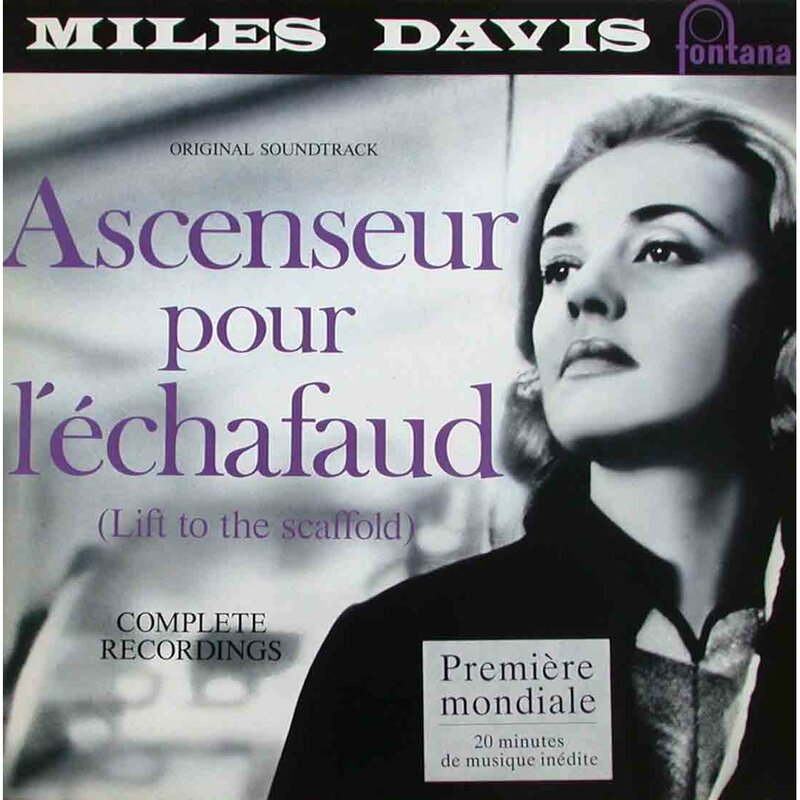 Side A, recorded in 1957, was the ten track soundtrack for the French movie L’Ascenseur pour l’echafaud (Elevator to the Scaffold). The band features Barney Wilen on tenor, Rene Urtreger on piano, Pierre Michelot on bass, and Kenny Clarke on drums. The improvised tunes are brief, and are mood and character pieces. I would highly recommend seeing the movie, and while brief, the soundtrack adds a lot to the movie. The soundtrack was released on its own under that name (original cover below). As a stand alone album, it’s revelatory, and 28 minutes of perfection – some of the the most gorgeous and evocative music you will hear. Sometimes when listening I don’t get past the first track, “Generique”; I just put it on replay and melt. Side B, recorded in May 1958, features three tracks by Miles’ Sextet with Trane, Cannonball, Red Garland and Philly Joe Jones. If you have the two disc Legacy version of Kind of Blue you’ve probably heard Side B, as it contains “On Green Dolphin Street,” “Fran Dance,” and “Love for Sale” – all of which were released on the second disc of that Kind of Blue reissue. I’m not sure why “Fran Dance” isn’t covered more by jazz players, as it’s a beautiful tune. -and perhaps most obviously, if any of my description of what you get and my take on the complete package seems worth the investment. -if you think that this whole set is just another way for Columbia/Legacy to make a buck on music that for the most part has been readily available for a long time in formats that sound very good. If you’re not interested in purchasing the whole set, but would like individual albums remastered in mono, Columbia has released them on 180 gram vinyl pressings. I can’t speak to the quality of those pressings, as I have not heard them. Of course if you really want to go to the original mono source, go to your local fine record store and get the first pressing 6-eye Columbia LP, just be prepared to pay a premium for one in great condition. 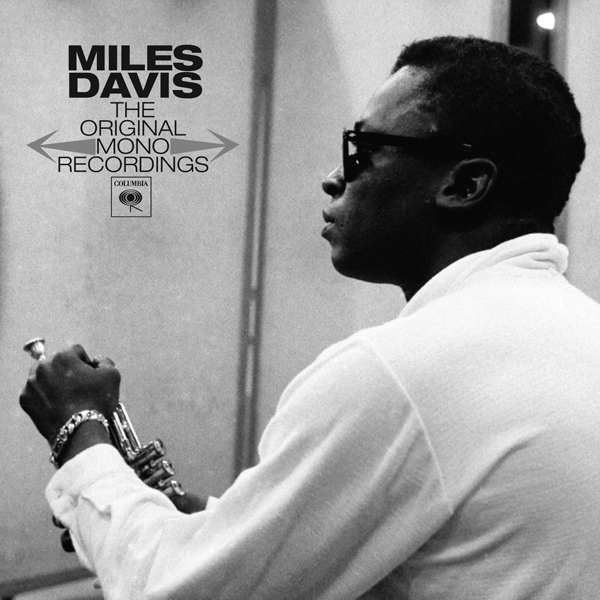 But if you are looking for the next closest thing and don’t have a turntable, the Miles Davis: The Original Mono Recordings just might be a good fit for you.